Flowering - Spores produced February - April. Habitat - Open grassy areas, lawns, open woods, roadsides. 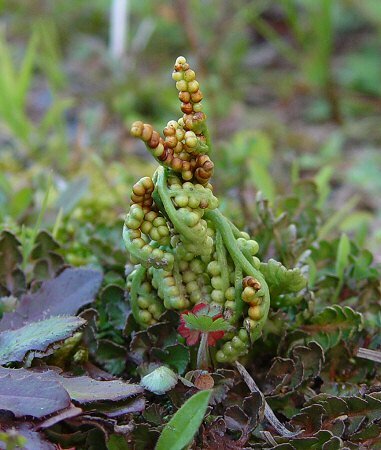 Other information - This low-growing and small fern can be found mainly in the southern half of Alabama. 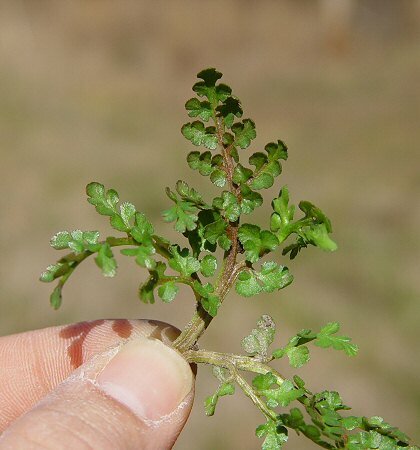 The plant is notoriously hard to find as it grows very low to the ground and is commonly covered by surrounding plants. 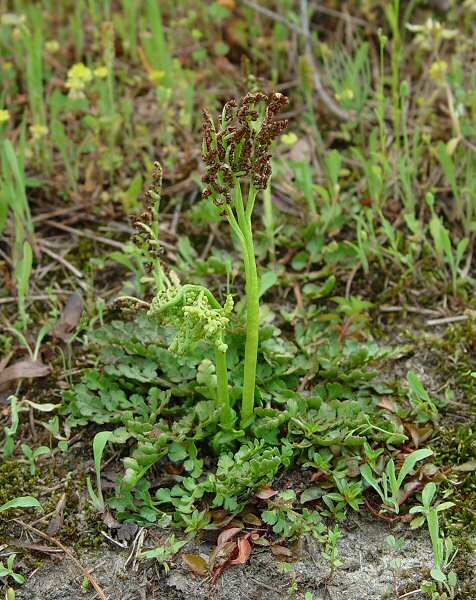 The sterile fronds of the plant grow prostrate and the fertile fronds typically stand erect. 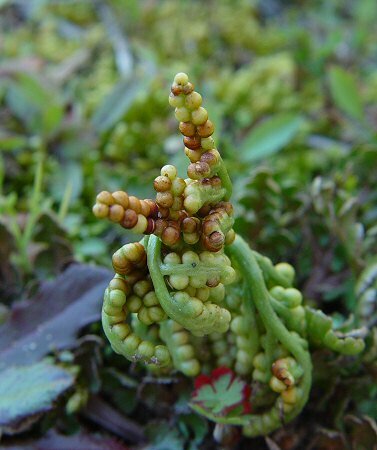 The fertile fronds in the photos above were not quite fully expanded. 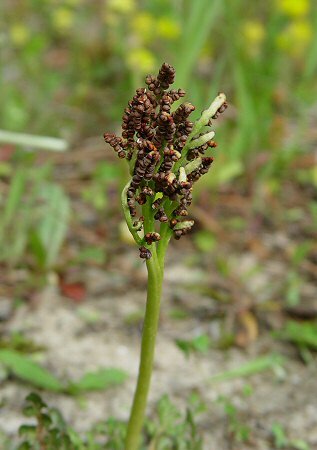 The genus name Botrychium derives from the Greek "botr(y)" meaning "bunch of grapes" referring to the sori of the fertile frond. The species epithet lunarioides derives from the Greek "oid" meaning "like, form." The species epithet means "looks like lunaria." B. lunaria (L.) Sw. is another species found in northern North America, Europe, and Asia. Photographs taken off Lee Rd 240, Lee County, AL., 3-7-06.